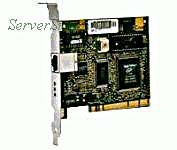 3COM - 3C905B-TXNM 3COM - ETHERLINK XL FAST ETHERNET PCI 10/100 BASE-TX NETWORK INTERFACE CARD WITHOUT WAKE UP (3C905B-TXNM). REFURBISHED. IN STOCK. READY TO SHIP SAME DAY. 3COM - 3C905B-TXNM 3C905B-TXNM 3COM Pci 10 100 Wol Nic Inactive. New Bulk Pack. 3COM - 3C905B-TX-NM 3C905B-TX-NM 3COM Etherlink XL Ethernet 10 100mbps RJ 45 PCI Network Interface Card. New Bulk Pack.